This project aims at increasing substantially the exploitation opportunities for open GI. Open GI data exchange could become via FOODIE easy as well as the governments will more and more understand that it is not their target to host data but to make them available that better decisions are done based on their data. 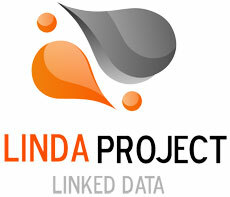 LinDA aims at assisting SMEs and data providers in renovating public sector information, analysing and interlinking with enterprise data by developing a linked data workbench encompassing a cross-platform, extensible software framework and a repository for accessing and sharing Linked-Data vocabularies and metadata amongst SMEs data marts that can be linked to the LOD (Linked Open Data) cloud. Its a global Community of Practice, where people from all over the world exchange information, ideas, and resources related to the use of information and communication technologies (ICT) for sustainable agriculture and rural development. With over 12,000 members from 170 countries and territories, the e-Agriculture Community is made up of individual stakeholders such as information and communication specialists, researchers, farmers, students, policy makers, business people, development practitioners, and others. A cluster of experts in environment, agriculture and informatics empowered by the Hellenic Forests LTD Company. Representatives of this cluster will actively support most of the CAPSELLA activities and join the first project workshop as speakers and moderators of one of the Round Table discussions. AEGILOPS, a Network for Biodiversity and Ecology in Agriculture, is a Greek non-profit community of researchers and producers in the sector of Sustainable and Ecological Management of Agrobiodiversity. AEGILOPS is working in close collaboration with Greek Gene Bank and Universities to evaluate and select landraces which can thrive in variable organic farming environments. In 2012 AEGILOPS issued successfully the Greek Seed School and since then, every year, is coordinating training courses for farmers, processors, consumers and seed savers in many regions of the country. Its main mission is the preservation – re-cultivation of local varieties/heritage crops and the development of varieties and seeds adapted to local conditions and organic farming, as well as supporting agrobiodiversity use in the perspective of sustainable multifunctional agriculture. ESAPODA is an Italian non-profit organization gathering farmers and professional agro-ecologists under the main mission of promoting knowledge and diffusion of integrated and biological pest control. Beyond crop protection, ESAPODA is involved in several fields of organic and agroecology-based cropping system. One of its most successful projects is a farmer-to-farmer training school on organic cropping systems (‘Scuola esperienziale itinerante per l’agricoltura biologica’, http://www.scuolaesperienziale.it/) active from 2006. A multi-stakeholder platform that has involved numerous civil society networks and organisations from the majority of EU Member States all working on issues affected by the EU’s Common Agricultural Policy (CAP). ARC2020 is mobilising individuals and organisations beyond traditional stakeholder interests, working in parallel also on the policy level for a paradigm shift in agriculture. A unique public-private initiative dedicated to improving the safety of food in middle-income and developing countries. GFSP brings together fishers and farmers, business and industry, governments, regulatory bodies, international development organizations, and civil society to drive a globally-coordinated and locally-driven food safety approach. This focuses on recommending practices and tools for the GFSP based on an OPEN approach (open content, open data, open access, open knowledge, open credentials and the range of models). A global movement dedicated to open agricultural knowledge. CIARD aims to align the efforts of national, regional and international institutions, and to establish better connections to improve sharing of information and services. Partners in CIARD believe that open knowledge makes it easier to develop better solutions to agricultural challenges. An initiative that seeks to support global efforts to make agricultural and nutritional data available, accessible, and usable for unrestricted use worldwide. 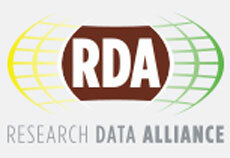 CAPSELLA partner LATR was one of the first signatories of the GODAN initiative. The purpose of the Bouchout Declaration is to help make digital data about our biodiversity openly available. It offers members of the biodiversity community a way to demonstrate their commitment to open science. LATR was one of the first signatories of the Bouchout Declaration, as a company supporting agro-biodiverity. This brings together citizens, small farmers, consumers, activists and concerned political actors at global level through an alternative economic approach called Local Solidarity-based Partnerships between Producers and Consumers. URGENCI promotes all forms of partnership between producers and local consumers, all kinds of Community Supported Agriculture initiatives, as a solution to the problems associated with the global intensive of agricultural production and distribution. A global alliance building the social and technical bridges that enable open sharing of data. The RDA vision is researchers and innovators openly sharing data across technologies, disciplines, and countries to address the grand challenges of society. These two projects have been part of the FP7 funded Future Internet PPP initiative. SmartAgriFood (http://www.smartagrifood.eu) developed a vision of Future Internet technologies could be used in Smart Farming (i.e. precision agriculture), Smart Agrilogistics (i.e. logistics virtualisation and integration), and Smart Consumer Information (i.e. ICT enabled end consumer product information). 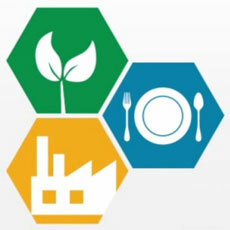 As part of SmartAgriFood, an end-to-end integrated scenario was developed for data integration across the supply chain. 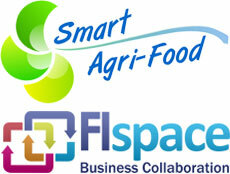 The FIspace project (http://www.fispace.eu) has followed this up by building a platform for app development for the purposes of the food, agriculture and logistics domains allowing business processes to be built through plug and play integration of different services. SDI4Apps is an EU-funded project managed by the University of West Bohemia from the Czech Republic. SDI4Apps seeks to build a cloud-based framework with open API for data integration focusing on the development of six pilot applications. The project draws along the lines of INSPIRE, Copernicus and GEOSS and aspires to build a win-win strategy for building a successful business for hundreds of SMEs on the basis of European spatial data infrastructures. ISOFAR promotes and supports research in all areas of Organic Agriculture by facilitating global co-operation in research, methodological development, education and knowledge exchange; supporting individual researchers through membership services, publications and events and integrating stakeholders in the research process. The project’s overall aim is to develop efficient and sustainable management techniques aimed at increasing crop productivity in organic farming systems. To do so, the mutual interactions of crop plants with weeds and co-cultivated plants, with soil macro- and micro-organisms in their physically and chemically determined environment influencing C and N pools and fluxes as well as greenhouse gas (GHG) emissions will be studied. Top soil layers with increased fertility supporting crop growth may result from reduced soil tillage, increased inputs of organic matter, green manures, and animal manures, and often they are found in orchards and vineyards that are tilled only superficially. HNV-Link creates a community of practice and knowledge throughout the European Union. A thematic network fostering cross-border knowledge exchange – aims at sustaining and promoting innovative approaches emerging in Europe from a multitude of practices adopted to introduce and manage agrobiodiversity in cereal production. These innovations are rooted in local traditions, knowledge and food culture. 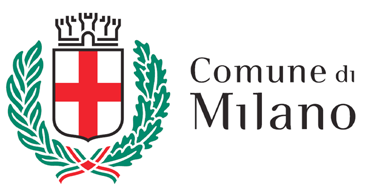 The Municipality of Milano, by signing an international pact that brought together 163 cities from all over the world with more than 450 million inhabitants, has put itself in the spotlight as one of the cities with a strategic role to play in developing sustainable food systems and promoting healthy diets. Given the fact that every city is different, they are all centres of economic, political and cultural innovation, and manage vast public resources, infrastructure, investments and expertise.